Your favorite radio station, 107.1 The Peak, receives truckloads of CDs each day, many from local artists, but most are shipped in by bands or record labels from out of state (or out of country). Chris Herrmann and Rob Arrow pull out the ones that they’re interested, and even then just a small handful of that select group make it onto the air. This is how they assure that every Wednesday, you get the best “hand-picked new music” around. What this means for me is that I get to dive into a dozen or so mail crates full of CDs and pull out a couple (usually around 50 or so) to take home and listen to. We Have Cause to Be Uneasy by Wild Sweet Orange is the band’s first full-length album, and it really stood out from the other records I had brought home, despite the fact that I had never heard of the band before. 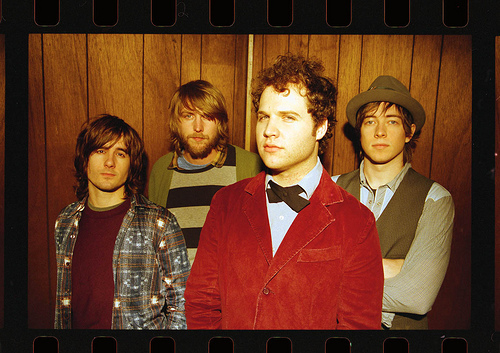 When the album was released in 2008, the band was comprised of Preston Lovinggood on vocals and guitar, Chip Kilpatrick on drums, Taylor Shaw on guitar and Garrett Kelly on bass. Their songs have a worn-in feel, born from the heart of Alabama. But let’s talk about the music already. 01. Ten Dead Dogs https://joshtheinternsblog.files.wordpress.com/2010/01/01-ten-dead-dogs.mp3The record starts off with the band’s most popular song – Ten Dead Dogs, which they performed live on David Letterman in 2008. The jarring opening lyrics, “I saw ten dead dogs/On the side of the road”, at once shock and draw in the listener. But Lovinggood’s voice is so smooth to listen to that even in the album’s darkest moments, it shines with optimism. The perfectly timed “oh”s later on in the song ring brightly like the sun through the clouds. And the variation in the drums with subtle extra sixteenth notes add welcome texture. 02. Tilthttps://joshtheinternsblog.files.wordpress.com/2010/01/02-tilt.mp3“Tilt” follows soon after, and it lets you know that the band isn’t going to cave to expectations. After about a minute and a half of subdued intensity, the song explodes with distorted guitar and a driving quarter-note feel. This song gives an inkling of Lovinggood’s vocal power to come. 03. Seeing & Believing https://joshtheinternsblog.files.wordpress.com/2010/01/03-seeing-believing.mp3What’s most pleasing for me is the fact that Wild Sweet Orange refuses to let cliches take over their originality. Maybe I’m just biased, but when they pull an almost Green Day style chorus late in the album’s next song, “Seeing & Believing” it doesn’t sound canned at all. 04. Either/Or Lovinggood pushes his self-created boundaries on “Either/Or” the album’s fourth track, by screaming over dissonant guitar, even as he sings “More like a voice less like a noise/More like a soul less like a void”. Shine bright and blind the reaper’s eyes. We rest as death lays on his knife. 07. House of Regret https://joshtheinternsblog.files.wordpress.com/2010/01/07-house-of-regret.mp3The band brings out another hard-hitter, with “House of Regret”. It starts off a little rocky, despite heavy, grounded tom fills; but as the song builds from just Lovinggood’s voice and Kelly’s bass to it’s roaring climax you can feel chills running through you. 08. Crickets https://joshtheinternsblog.files.wordpress.com/2010/01/08-crickets.mp3“Crickets” is a watertight song. It’s got a sick drum hook and wonderfully atmospheric guitars thanks to some smart capo work. Lovinggood’s voice comes threateningly close to a whisper, at points, especially as he sings “She don’t believe anything she don’t believe anything/But I would believe anything I would believe anything”. You’re as tameless as an ocean. Oh, it ravages me whole. I’m as dramatic as the thunder. Oh yeah she needs to get some sleep. And as Lovinggood sings those words, the walls surrounding the band collapse and the guitar and the drums come pouring in. Finally, the music drains out leaving just the acoustic guitar once again, and the words become a distillation of the sentiments of the entire album. 11. 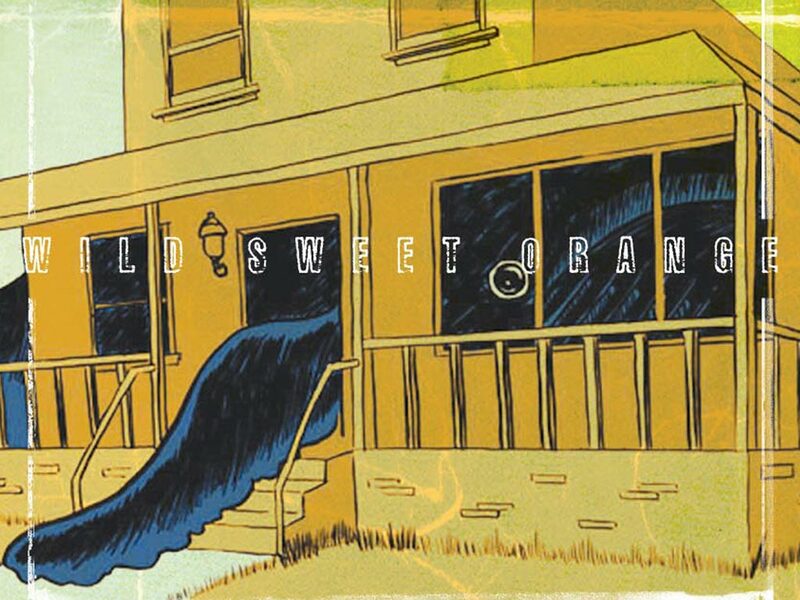 The Land of No Return https://joshtheinternsblog.files.wordpress.com/2010/01/11-land-of-no-return.mp3Finally, Wild Sweet Orange finds some long-deserved catharsis with “The Land of No Return”, slow and thoughtful with drums resonating from the hills. Unfortunately, these guys aren’t still together, but Lovinggood, and drummer Chip Kilpatrick are still together and are hopefully putting out a new album this year. You can find out more information on the band’s website, as well as their myspace – where they’ve got some tracks from their earlier EPs. Happy listening! Ok, I’ll grant you that there are a rip-roaring ten days left in the month of October… BUT that is not an excuse for you not to go out a catch some great live performances in New York’s backyard. 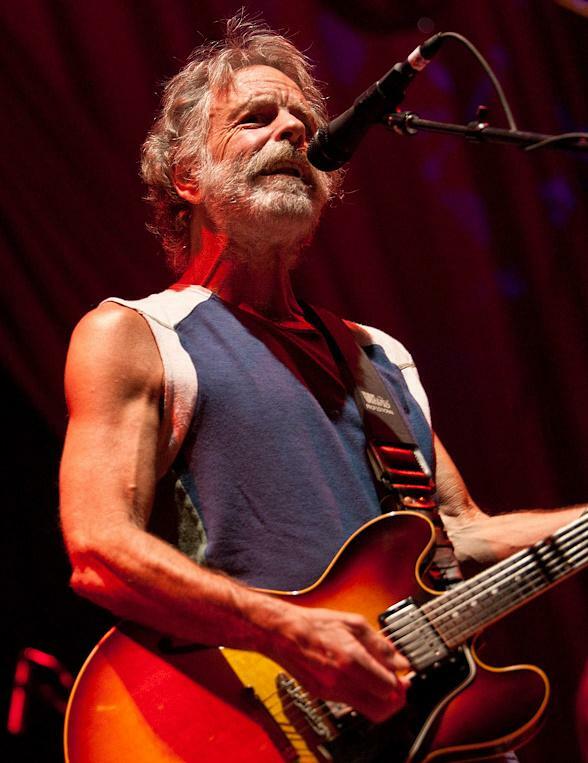 For instance, Bob Weir and RatDog will be finishing up their five show set at the Beacon Theatre. They’ve performing apart from the Grateful Dead for coming on fifteen years now and they’re still going strong. They’re playing this Thursday, Friday, and Saturday all tickets just under 40 bucks. There’s no better place to hear live Dead tunes. And Van is coming through town! Van Morrison will be playing at Madison Square Garden on the 26th. Just this year he released his fifth live album, Astral Weeks Live at the Hollywood Bowl, which was recorded during two concerts out at the Hollywood Bowl in L.A. The concerts took place forty years after the release of the original album, and this live edition was claimed to be one of the top 5 most anticipated pop events of 2009. U2, Bruce Springsteen and the E Street Band, Simon and Garfunkel, Metallica, Paul Simon, Aretha Franklin, Stevie Wonder, Crosby, Stills, Nash & Friends and Eric Clapton. And if that’s not enough, they’re not all coming together for one measly concert, but two nights of Rock ‘n’ Roll legendry. Catch Simon and Garfunkel, Steview Wonder, Crosby, Stills and Nash, and the Boss on October 29th, and then come back from U2, Aretha, Clapton, and Metallica on the 30th. The Hall of Fame is touting it to be a “once in a lifetime” experience, and I have no doubt that it is going to live up to it’s name. But let’s not let the big names outshine some smaller, less known, but equally talented individuals. For instance, Mike Doughty will be coming through New York. As you may know, Doughty performed last year at The Peak’s 5th birthday party and is a great friend of the station. He’ll be at Le Poisson Rouge in the city on the 31st. And last but not least, let us not forget Tegan and Sara, the artsy identical twin sister duo from Alberta, Canada. They’re playing a sold out show at Town Hall, which should be featuring some tracks from their new album, Sainthood, which wasn’t due to come out until the 27th. Fortunately, due to the magic of the internet it was leaked out ten days early. So you see? A lot can happen in ten days. Especially in New York’s backyard. So get out there!